As the first tickets go on sale today, Wandsworth Council offer a sneak preview of the 2017 Wandsworth Arts Fringe programme. With 140 shows in 65 venues across the borough, this year’s festival promises to be the biggest and most varied yet. From May 5 to 21 every conceivable space in the borough is transformed into a place of creative celebration. Throughout the merry month of May, Wandsworth will buzz with artistry, imagination, and ingenuity for. From theatre to dance, comedy to music, visual art to literary events, outdoor extravaganzas, dance circus and free shows, there is something for everyone every day and long into the spring evenings throughout the two week period. OUTDOOR EVENTS lead the way in the green open spaces of South London. 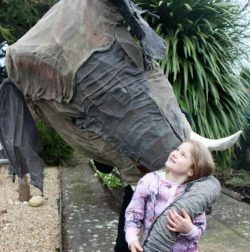 Thundering across Heathbrook Park come the biggest herd of rhinoceros ever seen in the capital in Puppets with Guts interactive big puppet mass movement spectacle Rampaging Rhinocerous. Puppet creatures a little more delicate feature in Mischief Makers Metamorphosis – a free colourful family focussed outdoor performance on Roehampton Library Green that follows a giant caterpillar to a magical garden tended to by a swarm of worker bees. 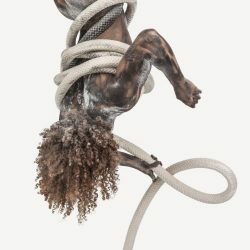 On a more sedate note, Happening Artists Locals Art Hut returns to Battersea Park with locally inspired sculptures, prints and paintings based on nature themes and the wider local area, made by a group of artists representing a range of ages and experience. 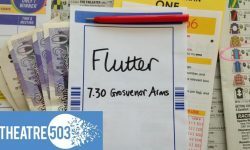 As always, THEATRE is integral to the Wandsworth Arts Fringe, with highlights that include the world premiere of Compulsive Theatre’s Flutter, Justin Hopper’s funny and moving love letter to the high street bookies. Another world premiere – Theatre N16’s The 49 which tells the poignant, moving story of the lead up to the Orlando Gay Nightclub massacre in June 2016 when 49 people were murdered by a single gunman. The play explores sexuality, identity, and what it is to be safe in a modern world. Premieres continue with Extant, the UK’s leading performing arts company of visually impaired artists, with their production Catching the Ghost by Chris Campion. The play follows the journey of a young man who must suddenly confront his struggle with sight loss. Tom Green presents Tom Molineaux, which tells the true story of the boxer born a slave in early 19th Century America, who fights his way to freedom and travels to London where his flamboyant style wins him huge renown at a time when boxing is becoming an obsession with both the gentry and the wider public. This year the CIRCUS comes to town with a great programme of cabaret and big top action. Hoops and Loops feature London’s freshest circus talent, transforming the beautiful surroundings of the Tooting Tram and Social into a dreamscape of visual delights with dancers, contortionists, hand balancers, acrobats and aerial artists, danger and spectacle, all rounded off by a live DJ set. Lobster Quadrille presents Carabet – a tour de force of character based cabaret with a trio of Gaulier trained performers using clown, physical comedy, improvisation and music to create an anarchic world of leek eating, grass cutting, toe balancing characters. Amongst the ARTISTS is celebrated painter Yvette Vanson who presents her fifth national exhibition Disappearing World in Putney Library featuring paintings of places of beauty, remote and near, endangered habitats, species and communities, as a testimony to nature’s extraordinary resilience in the face of human recklessness. Tate Modern artist Gil Mualem-Doron The New Union Flag Project at Tooting Market takes on diversity and national identity with re-imaginings of the Union Jack, which reflect the UK’s colonial past and contemporary multicultural society. To add to the mix, in Doddington & Rollo Community Roof Garden multimedia visual artist Hercules Fisherman will be performing Sumi Live Painting using his much-loved Ironing Board support to create works of art in real time and before the audiences’ very eyes. Bawren Tavaziva with his bold, dynamic and original approach to synthesizing Ballet, Contemporary and African dance. What is a festival without MUSIC? The Wandsworth Arts Fringe can boast a rich array of melody and rhythm in this year’s programme with bands, choirs and orchestras filling the air with sweet sounds. 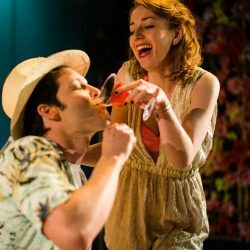 Into the mix comes Olivier Award-winning OperaUpClose with Opera Pic ‘n Mix, a messy love-triangle, weaving together some of opera’s best loved tunes into a moving and entertaining stage show performed outdoors in the Henry Prince Estate. Music at St Michael’s presents The Bach Players with a complete cycle of 5 concerts composed by Jean-Philippe Rameau for harpsichord with accompaniment of violin and viola da gamba. Pumping it up a bit comes Outerglobe – Debbie Golt with Sisters of Reggae, a feisty all female all vinyl revival roots reggae and ska DJ collective recently featured in I-D online. Also included at Balham Bowls Club are Tooting based Squelch Quartet playing original contemporary jazz written by the group and influenced by Arctic Esbjorn Svensson, Jan Garbarek, Keith Jarrett, Snarky Puppy, Wayne Shorter and many more. FAMILY is key to any fringe festival and Wandsworth Arts is no exception. Amongst the offerings is Prospero Theatre Company’s The Elephant of My Heart: an inventive join-in musical workshop for children which tells the story of a nine year old girl recovering from an injury who is visited by an elephant and a host of other splendid animals to help her to believe that one day she will fly. 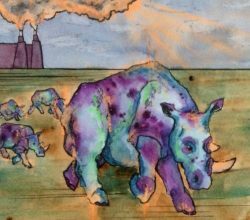 Three Feathers Theatre Company presents an interactive, multi-sensory retelling of the timeless classic Tortoise and Rabbit, with original music, puppetry, bubbles and more. The Wandsworth Arts Fringe also includes the legendary theatre company for people with learning difficulties Oily Cart whose director, Tim Webb leads a practical hands-on introduction to the company’s multi-sensory and interactive theatre for children and young people with complex disabilities and/or an Autistic Spectrum Condition. Magic a mesmerizing show packed with tricks and stories that has earned him 40 million youtube views. Also into the fold comes Melbourne Comedy Award Nominee Alexander Cofield with his show Woolly: The Morose Merino. Sarcastic, satirical and hilariously self-deprecating, Woolly is a sheep with serious issues! But he wasn’t always so… Woolly! These are just some of the highlights. 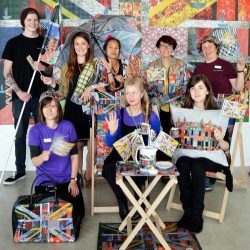 The full programme for Wandsworth Arts Fringe will be launched on March 22. We are very proud to host such high calibre creatives both from within Wandsworth and from further afield. 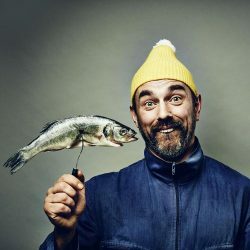 Between 5 – 21 May, Wandsworth Arts Fringe provides a magical arena in which to take risks to discover a new talent, a gem of a show or an unforgettable experience. There are new and established producers creating inspiring programmes across the borough and established venues sitting alongside pop-up and hidden spaces presenting a host of exciting shows and exhibitions. With such a wide range of events, Wandsworth Arts Fringe offers something for everyone. 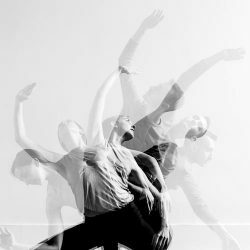 For the eighth May in a row, WAF will be shaking up South West London with an eclectic programme of arts and culture that thrills, moves and inspires audiences from across the city. Wandsworth Arts Fringe is brought to you by Wandsworth Council, supporting the arts and culture industries across the borough. The festival is funded by Wandsworth Council with generous contributions from Arts Council England, Greenland and Southside Shopping Centre. Organised by Enable Leisure and Culture. Part of Wandsworth Council’s arts and culture programme, WAF brings together over 140 creative companies in an array of nooks and crannies throughout the borough- some indoor, some outdoor, and some truly unexpected – revealing a Wandsworth you never knew existed. The festival is emphatically inclusive and welcomes participation from artists across all art forms- including street performances, exhibitions, comedy, theatre, music, dance and everything in between.